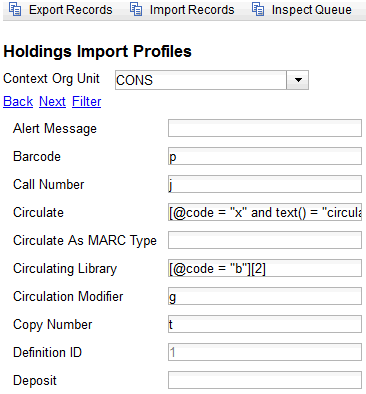 All fields (except for Name and Tag) can contain a MARC subfield code (such as "a") or an XPATH query. You can also use the related library settings to set defaults for some of these fields. Of the format PART LABEL 1|PART LABEL 2.